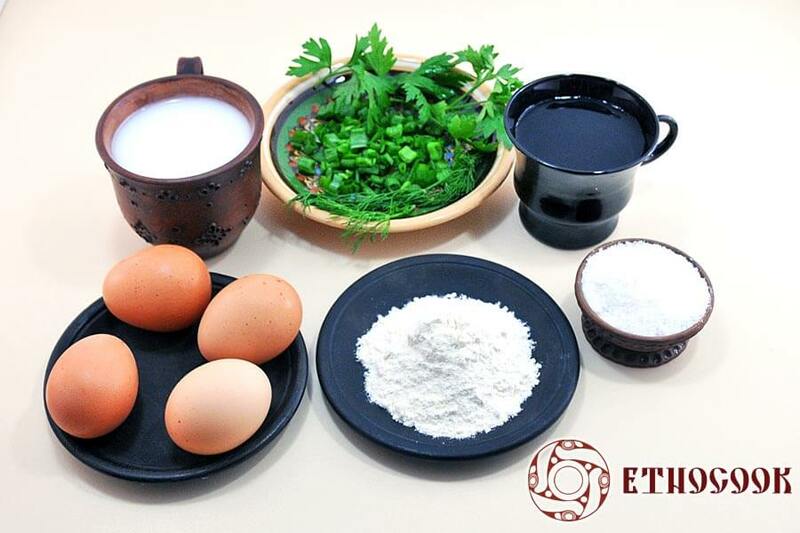 Eggs as food in traditional cuisine are known to Ukrainian people from ancient times. 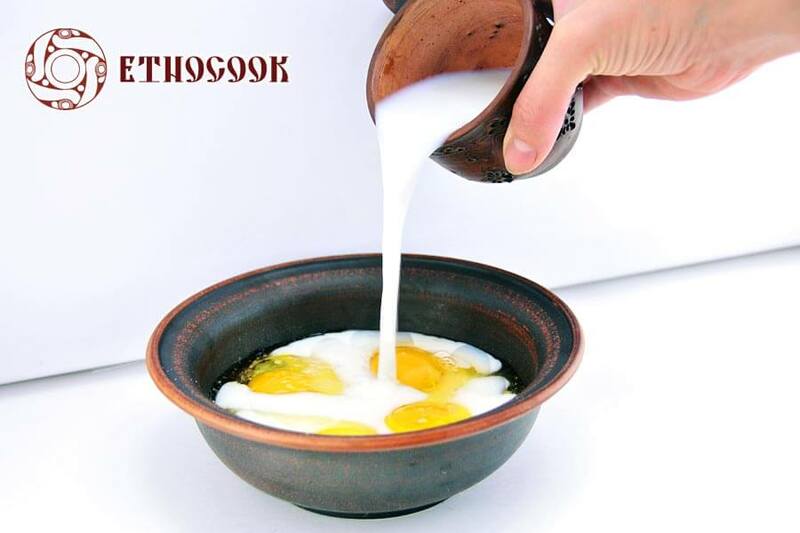 As it is well known eggs were very special in Kyiv Rus as the symbol of the beginning of the life and endless prosperity. Actually the strength of ancient rituals is confirmed by the fact that the old tradition to draw ornaments on eggs and to make Pysanky on Spring Holidays survived to our days. 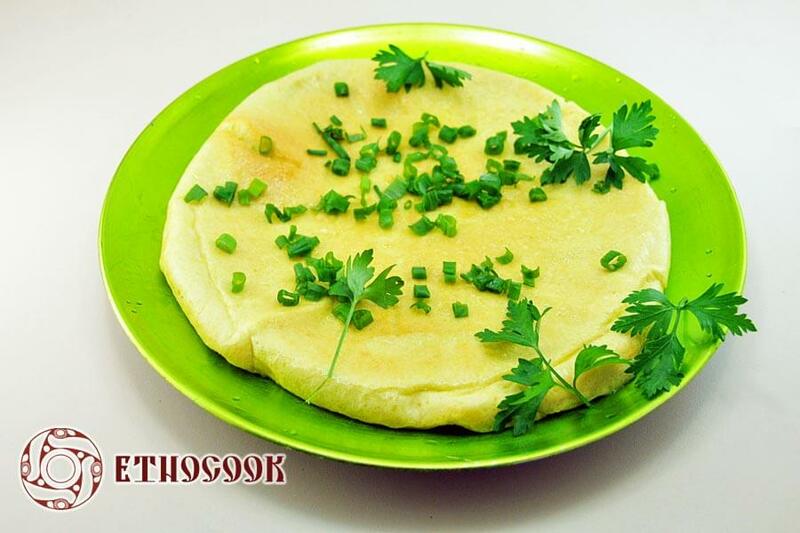 Scrambled eggs is a very easy to make dish among traditional recipes. 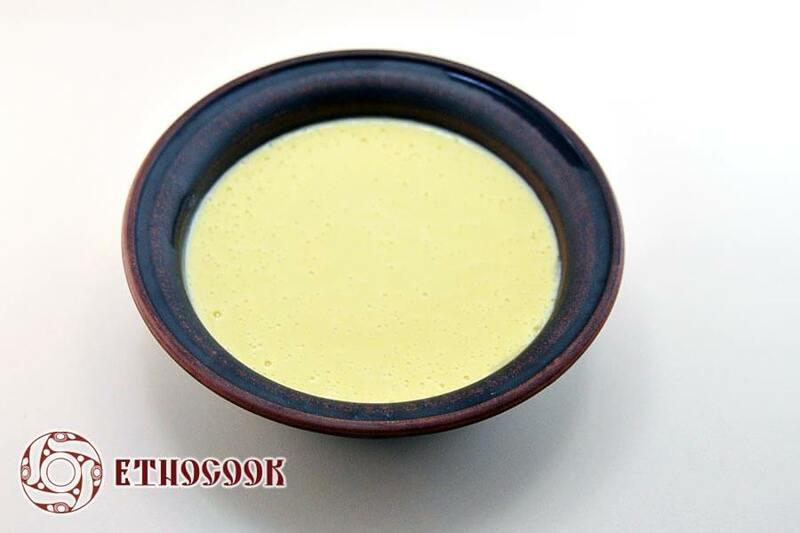 This light meal is made of whites and yolks mixed with milk. 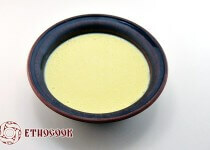 It can be served with different sauces, gravies, vegetables and is ideal for breakfast. 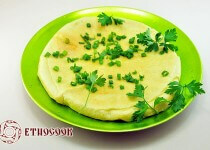 Prepare all ingredients, wash eggs, wash green onions, parsley, dill. Chop green onions. Crack eggs into a bowl, add milk and flour, salt to taste. 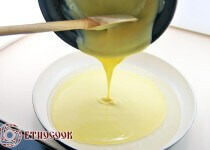 Put oil into the frying pan and heat it a little. Pour the mixture into the frying pan and prepare on a low heat with closed frying pan, ~3 minutes on one side and ~3 minutes on another side.